The Moto Z2 Play is one of those mid-range Android smartphones that's supposed to be updated to Android 8.0 Oreo at some point. Although Motorola has already started to test the Oreo update for this particular phone, it's still unclear when the final version will be rolled out to the public. Equipped with a Snapdragon 626 processor, 4GB RAM, and 64GB expandable storage, the Moto Z2 Play offers great value for money, especially if you manage to score a good deal. 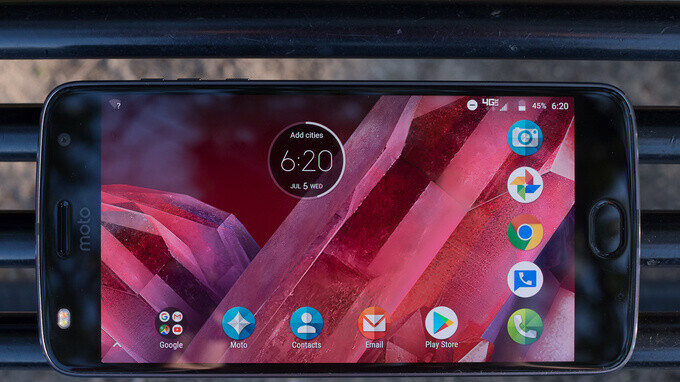 Last month, Motorola ran a promotion on the Moto Z2 Play for just three days where customers could get it for just $350. It looks like the promotion is live again, though we don't know how long it will last. Usually selling for $500 outright, the unlocked Moto Z2 Play is now available on Motorola's website for just $350, so you'll be saving $150 when you buy it. In comparison, the Verizon model, which isn't on sale right now, sells at Motorola for $408 but comes with only 32GB storage inside, whereas the unlocked variant has 64GB. It's also worth mentioning that the Fine Gold version of the Moto Z2 Play is on sale, so don't choose the Lunar Gray color because you'll be paying the full $500 price.